If you think you have asbestos hidden in the walls and ceilings of your home, it is time to arrange for an asbestos inspection. Especially because, not only is asbestos dangerous, if you have loose fill asbestos in your home, it is even more dangerous still. How to arrange for an asbestos inspection in your home -- If you suspect the presence of asbestos in your home, an asbestos inspection is mandatory both legally and health-wise. Arranging for one could not be easier, however, as all you have to do is contact one of the many services that offers them. 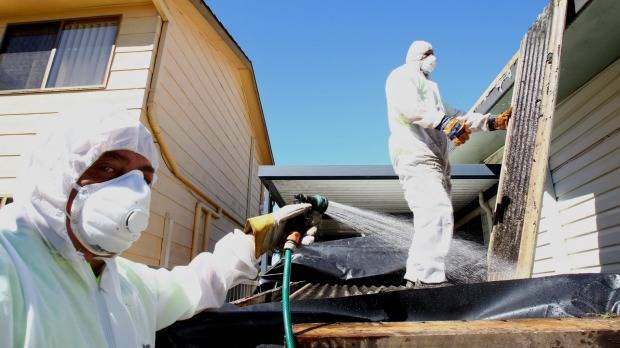 You will find most of them online, and it is just a matter of finding out who offers the most in-depth asbestos inspection, and who is the cheapest for what they do. How long does an asbestos inspection take? -- It depends on the size of your home but, in most cases, it will not take longer than an hour or two. A technician will come to your home, walk through and take air samples in a variety of rooms. He will then take material samples of materials he finds under sinks, in attics, in your basement and even from inside wall cavities if there is a non-invasive way for him to get in there. Once he has finished, he will package up his samples and take them to an asbestos testing lab for testing. How long do results take? -- Getting the test results for an asbestos test is very fast. In most cases, you will have the results sent to you in just a couple of days. If your home is positive for asbestos, you will also be told about your options with a recommendation for what the inspection facility feels is your best option.